CVWD recently completed a full-scale demonstration project using stannous chloride treatment for the water system serving Indio Hills, Sky Valley and some areas in and around Desert Hot Springs. The project successfully reduced Cr-6 to Cr-3 using stannous chloride, an approved drinking water and food additive. Because of this testing, CVWD is prepared to meet anticipated future chromium-6 drinking water standards set by the state. The stannous chloride treatment option is substantially less expensive and has less impact to the community and the environment than other methods. Coachella Valley Water District (CVWD) is committed to providing high quality drinking water that meets all state and federal water quality standards. This commitment includes delivering water that complies with the State Water Resources Control Board Division of Drinking Water (State) maximum contaminant level (MCL) of 10 parts per billion for chromium-6, a mineral that occurs naturally in Coachella Valley groundwater. CVWD has been working for years to find the best treatment method, even before state health officials enacted the country’s first chromium-6 drinking water standard in 2014. That limit of 10 parts per billion (ppb) has since been abandoned, along with a 2020 compliance deadline, after the state lost a lawsuit challenging the standard. In May 2017, a judge invalidated the limit because the state failed to properly consider the economic feasibly of compliance. The State Water Resources Control Board is now working on establishing a new chromium-6 standard for drinking water, which could take up to two years. Chromium-6, also known as Cr6 and hexavalent chromium, is a natural element that occurs in groundwater in the Coachella Valley and elsewhere due to the erosion of natural deposits. Cr6 was in groundwater long before the Valley was developed and before technological advances allowed detection of minute levels, such as one part per billion, which amounts to about one drop in a swimming pool. 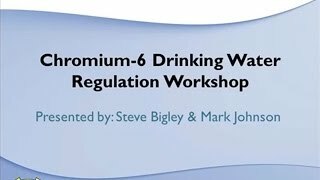 The state began regulating chromium-6 to reduce the potential increased health risk to some people who drink the water over many years. Chromium-6 does not cause any immediate health risks. Tap water is safe to drink, cook with and use. 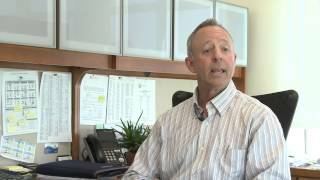 In 2016, CVWD was moving ahead with a plan to build a conventional ion exchange treatment system. It would have required construction of buildings at 29 well sites and a central facility for regenerating resin used in the treatment process, as well as pipelines to service the system. Some communities expressed concern that the treatment facilities would be too noticeable by neighbors and require too much traffic to maintain. The project would have cost about $250 million and caused an increase in water rates. Just as construction was set to begin, testing revealed success in treatments using stannous chloride, an antioxidant made up of tin and chloride. The CVWD Board of Directors temporarily halted construction of the ion exchange facilities in October 2016 and approved launching a pilot study to evaluate the feasibility and effectiveness of stannous chloride at a CVWD well in Palm Desert. This was followed by two months of laboratory testing on water from another well in Desert Hot Springs. In May 2017, test results showed that stannous chloride successfully reduced chromium-6. These findings led to development of the six-week demonstration project in the Sky Valley service area. If the study proves successful, stannous chloride treatment could eventually be used system-wide. This alternative would be one-tenth the price of ion exchange, eliminate waste byproducts, and avoid large buildings at well sites. Stannous chloride treatment would utilize tanks hidden behind well site walls and require less disruptive maintenance. More details with be shared with the community as they become available. We want your input. Coachella Valley Water District values feedback from all members of the community as we strive to make the best decisions for our customers. Fill out our online feedback form. Some bottled water brands available at local grocery stores and other locations provide water quality reports indicating Cr6 or chromium (which includes Cr6) levels below 10 ppb. The following list is not intended to be a complete list of all bottled water with possible Cr6 levels below 10 ppb. Inclusion in the list does not represent an endorsement of any kind.